Whether you are a small town church plant, a big city megachurch, a campus in a multi-site movement or a missional expression of the love of Jesus we all have the opportunity and the responsibility to use every means possible to invite people in to this incredible story of God with us, especially at Christmas! We know this and yet one of the real issues at Christmas is how to get the message of Christmas heard in a world full of noise, distraction and urgency! 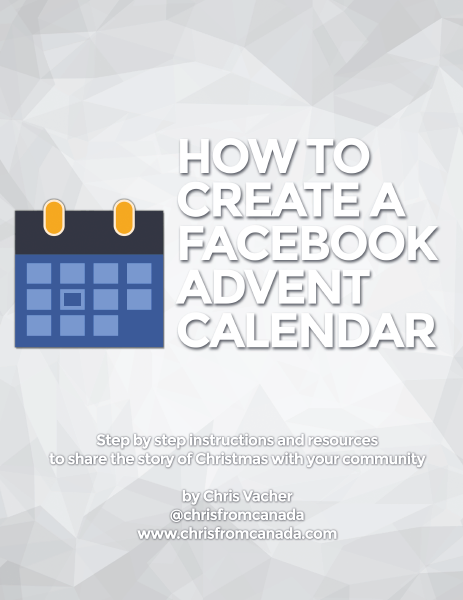 How can we simply, strategically and successfully share the world-changing, life-shaping story of the birth of Jesus Christ in a way that people will actually hear and pay attention to? What about Facebook? 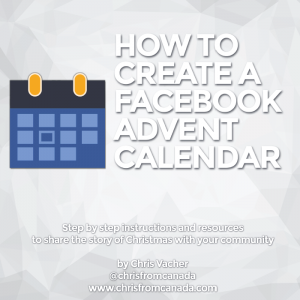 How are you using Facebook, the largest social network in the world, to share the story of Christmas, invite your neighborhood to attend services and continue to tell more and more people about Jesus? 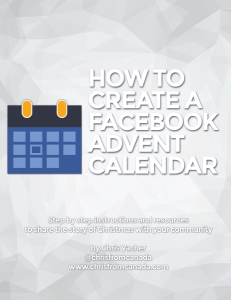 Download HOW TO CREATE A FACEBOOK ADVENT CALENDAR (15.4 MB) today to get a Premium resource that gives you everything you need to lay out the action steps enabling you to share the story of Christmas with your community for an entire month leading up to Christmas Eve! 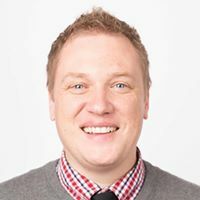 Chris Vacher is a pastor and worship leader living near Toronto, Canada. Chris has been in full-time ministry since 2003, leading worship and building worship ministry teams for three different churches. He loves to write about resources and tools for worship leaders which will help make their jobs easier.